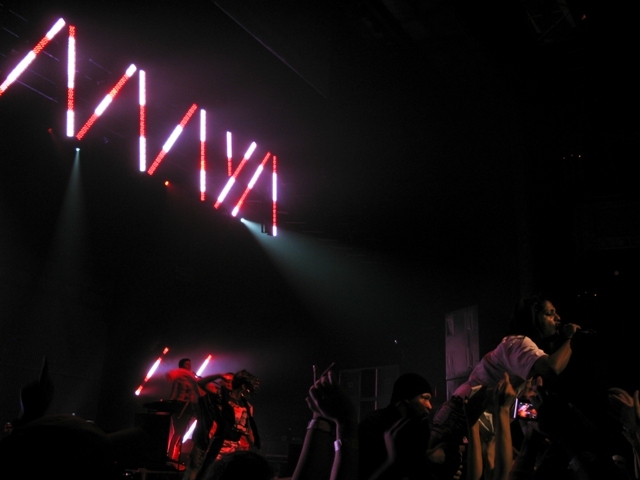 Perspectives, like horizons, change. 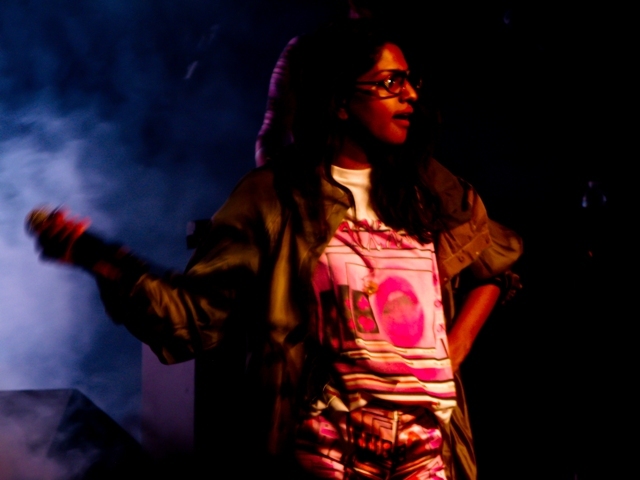 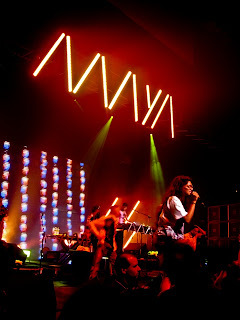 : Bands to See Live: M.I.A. Bands to See Live: M.I.A. Last week I had the opportunity to see a musician that I've wanted to see live for years: Maya Arulpragasam, who is better known by her stage name, M.I.A. Trust me when I say that the concert was well worth the wait. 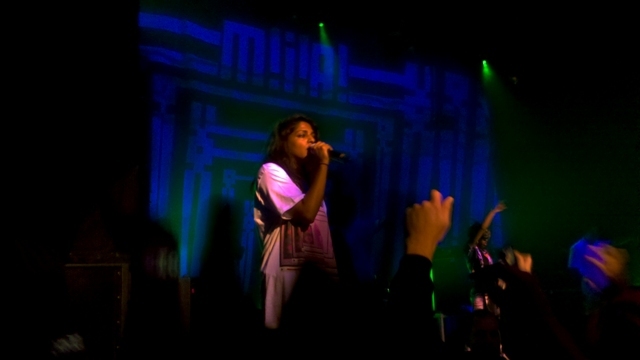 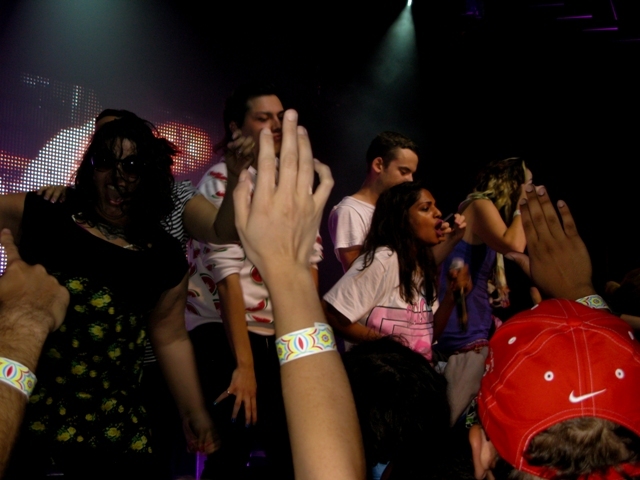 I expected a high energy show, but what I didn't expect was M.I.A. crowd surfing, crawling to the top of a stack of speakers that was easily a story high, passing around a bottle of Patrón to the crowd, and pulling people on stage for her encore (many of whom - in between freaking out, frantically dancing, and trying to hug M.I.A. 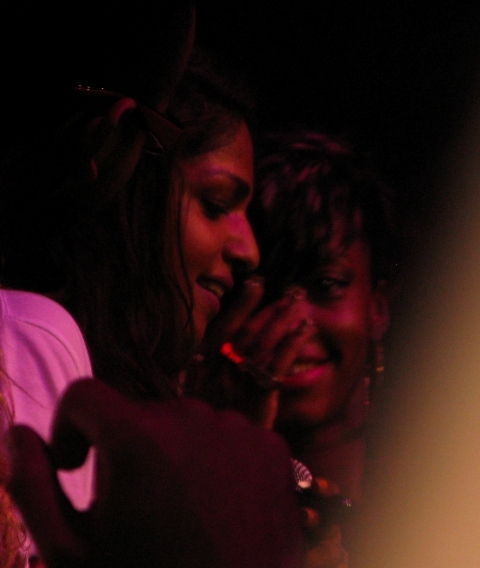 - busted out all of the herbs that they smuggled into the Vic and began smoking them). All in all, the show was completely unreal and I'll be the first in line to grab tickets to see her the next time she swings back through Chicago. 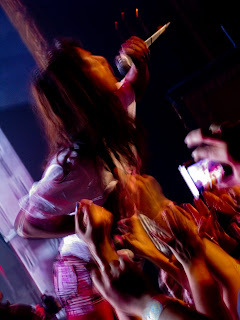 Luckily I had my pocket camera with me, so I snapped a few photos.